Great design is about more than style, it’s about making your life easier, communicating with us and saving you thousands of dollars. 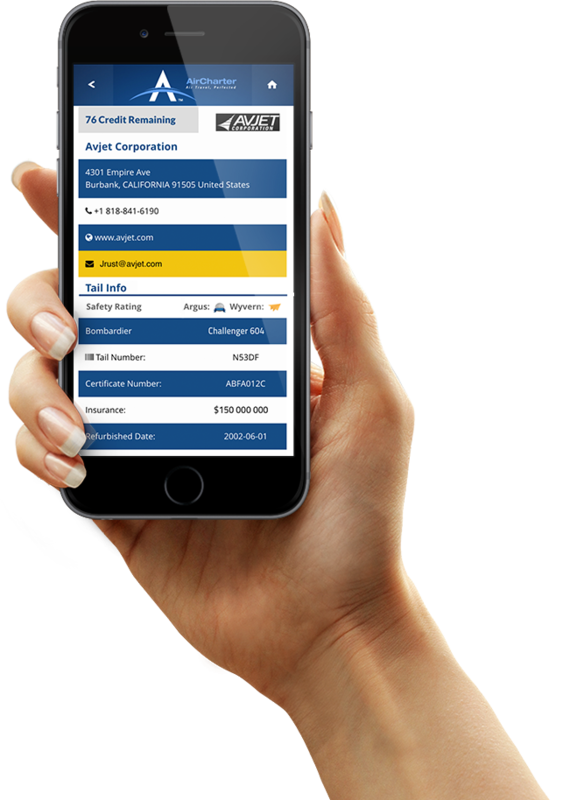 You can manage your account from your mobile device. 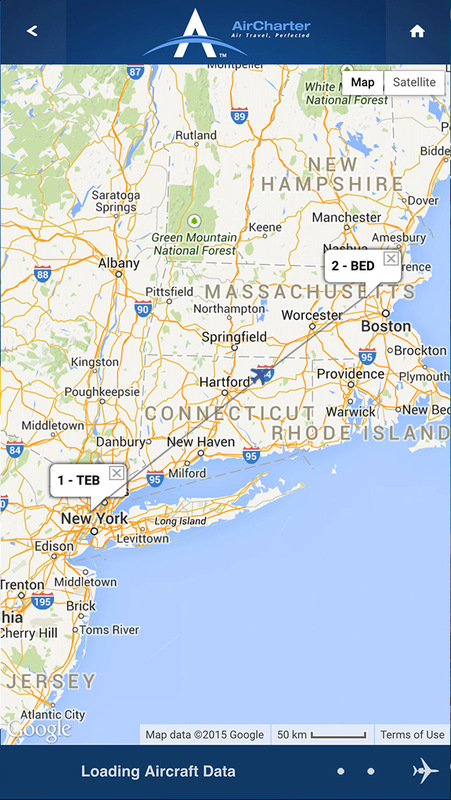 View your quotes, Saved Trips, Flown Trips. Print your invoice. 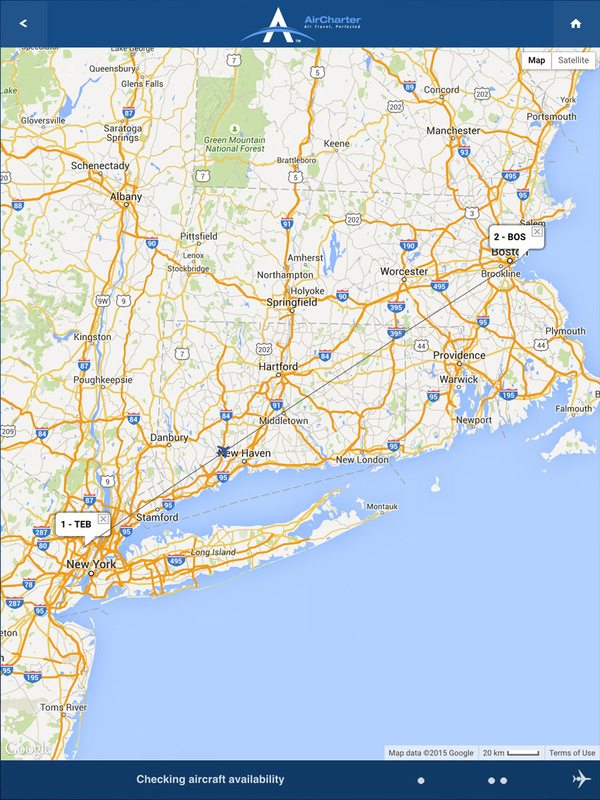 Set your favorite AirPort and Radius. Pricing is offered instantly. 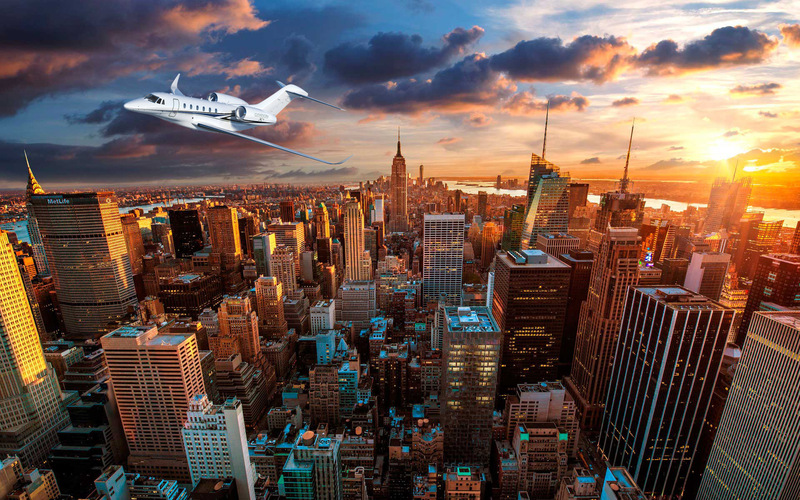 Tired of the slow response time offered by other private jet charter companies? AirCharter.com can have your aircraft on the tarmac in under 30 minutes. 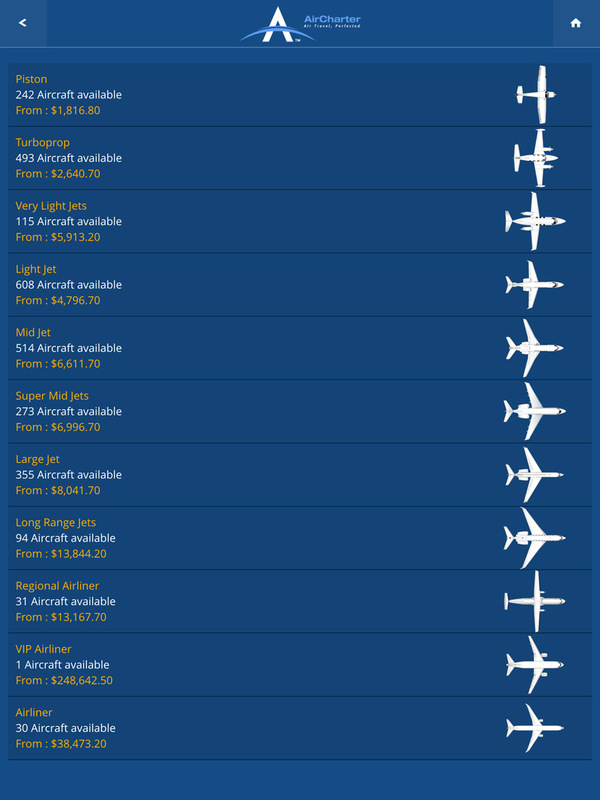 Need information on any jet? 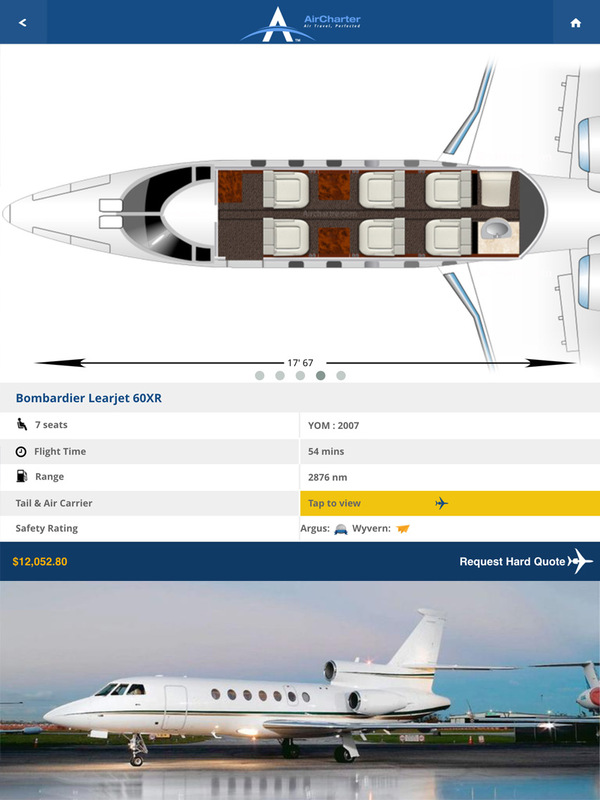 Use our Air Charter Guide within the Air Charter App to see Outside, Inside, Cockpit, Floor-Plan and Cabin height on all aircraft models. Get the latest news from AirCharter.com and read all of the posts found in our blog. 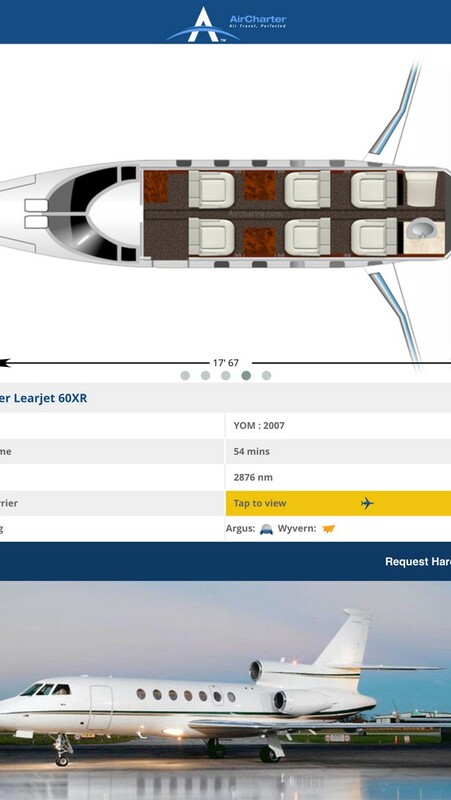 Along with access to many more information available on the AirCharter.com’s website directly on your device. 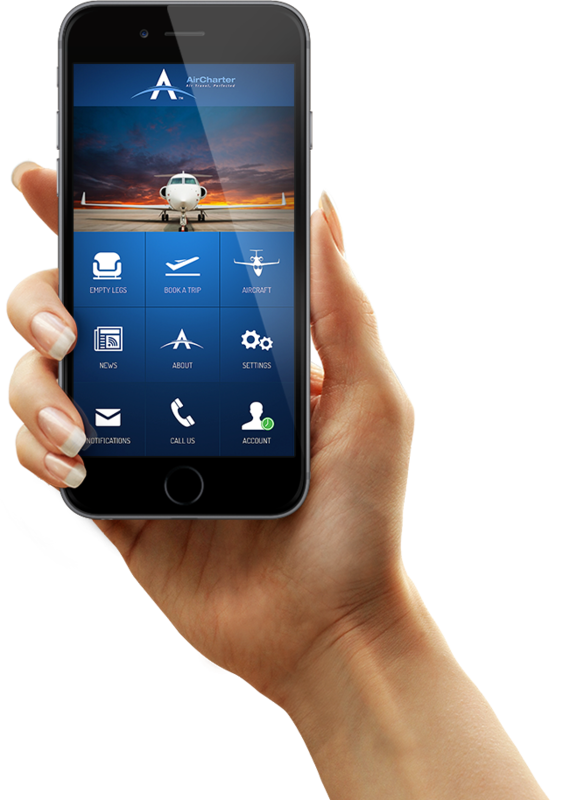 Starting with 24/7/365 In-App Concierge and customer support by our own certified charter experts with over 30 years of experience. What are you waiting for? 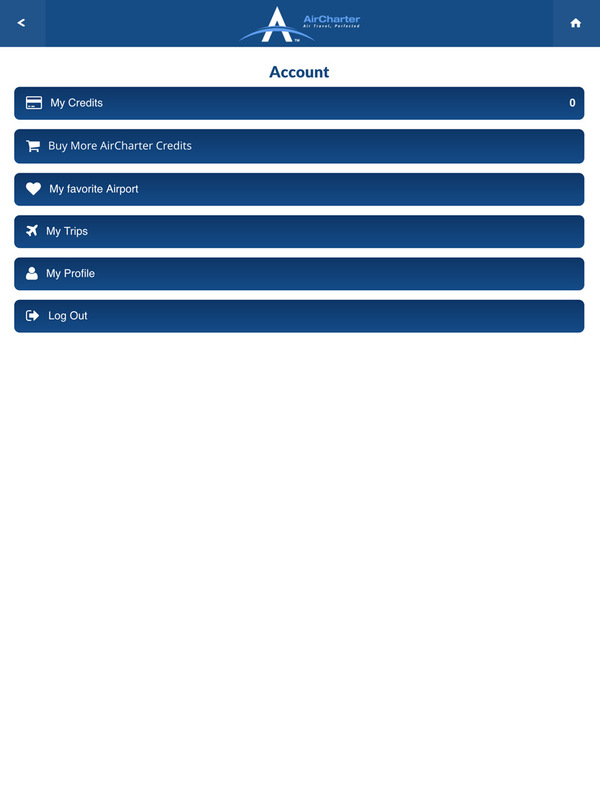 Download the Air Charter App and start saving. and Cabin height on all aircraft models. and guaranteed lowest price quote. directly to your mobile device. Empty Legs and View Your Quotes. Floor Plan & Cabin Photos. the Tail and Operator information. Max seats available for use. 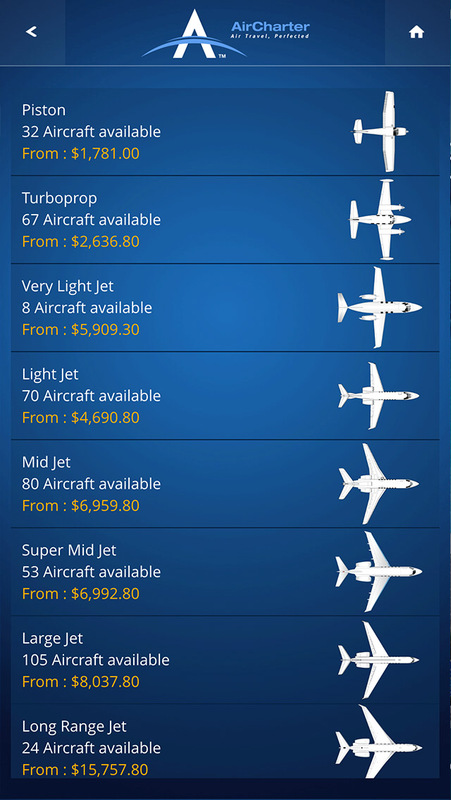 Starting Price for the type of aircraft. by other private jet charter companies? tarmac in under 30 minutes. Physical Address & Contact Infos. We display the Tail number. All for as little as $4. 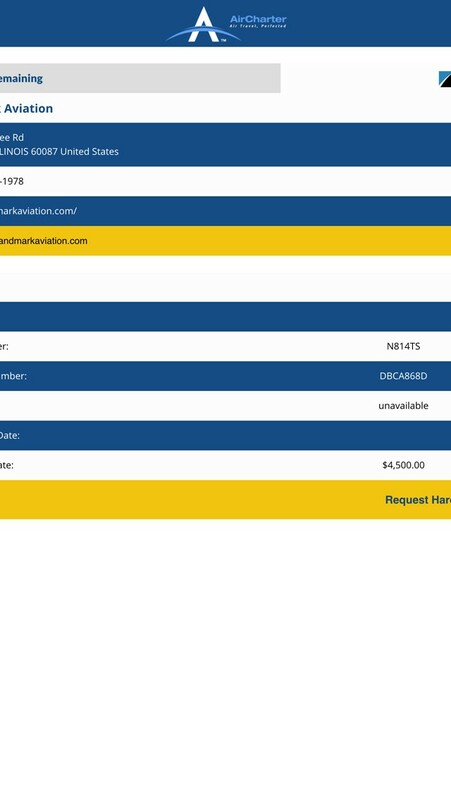 the operator's email & website. amount at the tip of your fingers. 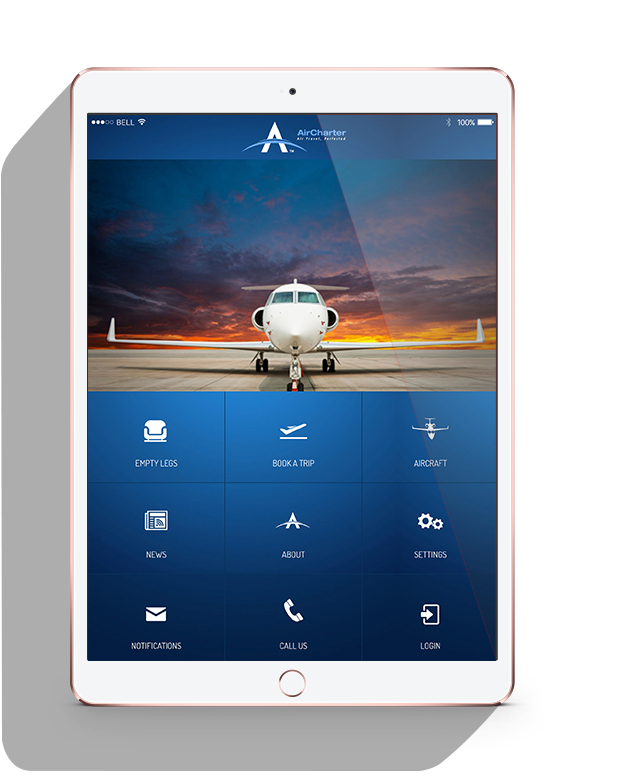 The Air Charter App is a Private Jet Marketplace that gives you the power to book a jet on the go. 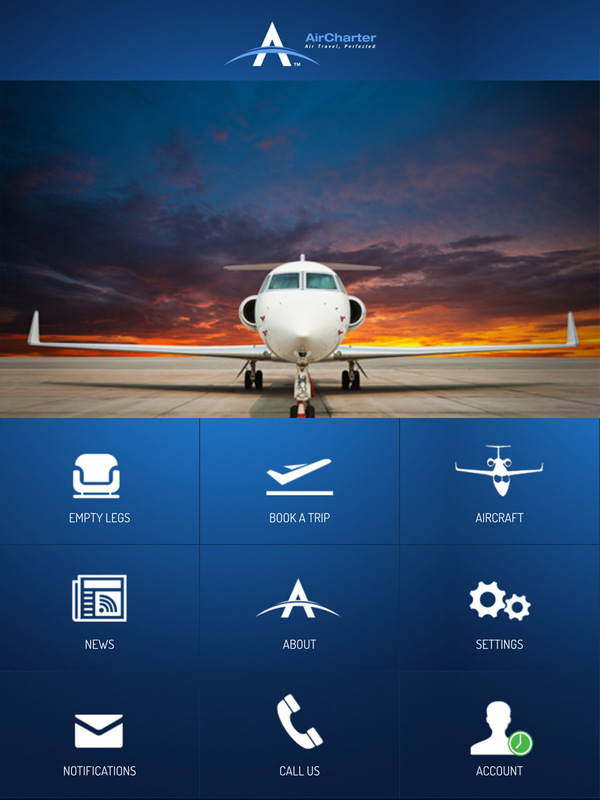 Feature Rich Private Charter APP that will save you thousands. 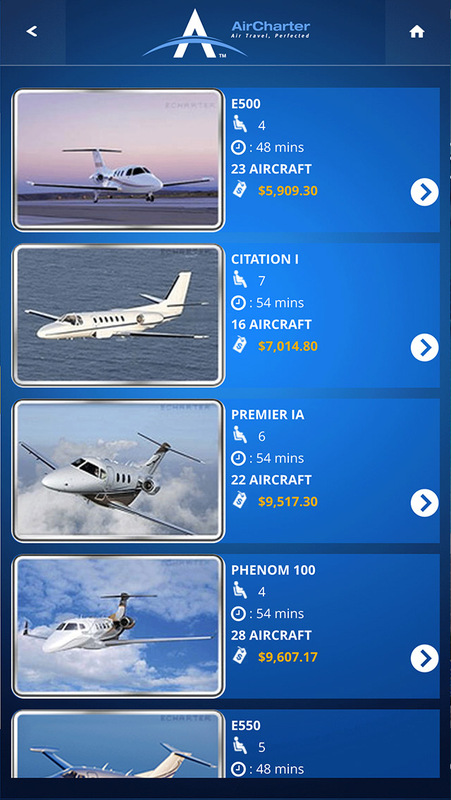 Aircharter is offering for a limited time Free Membership plus 10 free credits to all verified registered users. 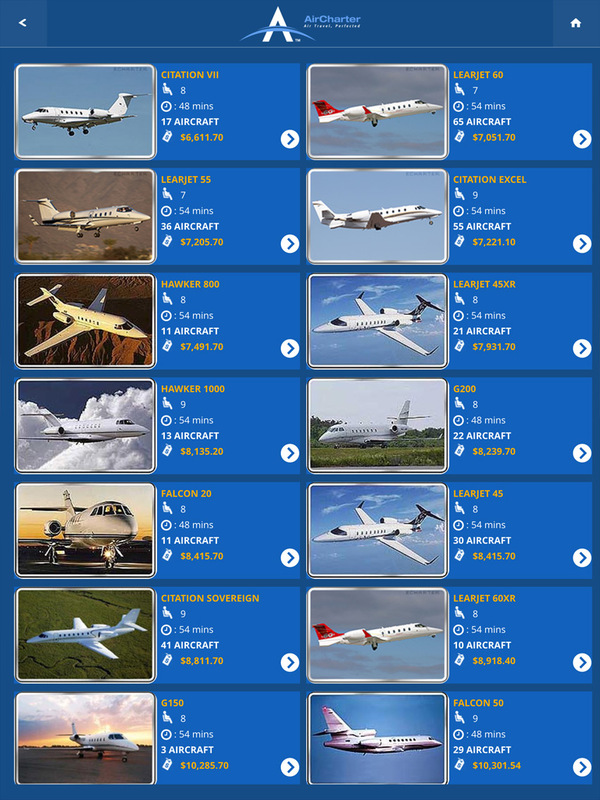 With over 13,000 aircraft in our database, Aircharter.com is proud to introduce this limited time offer to all of our verified users*. 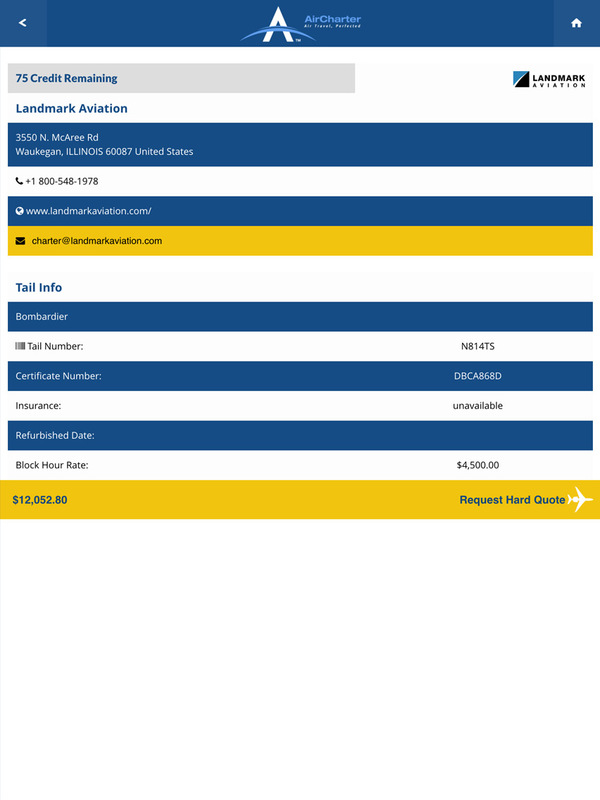 With the Aircharter booking engine, you will be able to process trip requests and request aircraft data such as tail numbers, safety information, and aircraft photos. 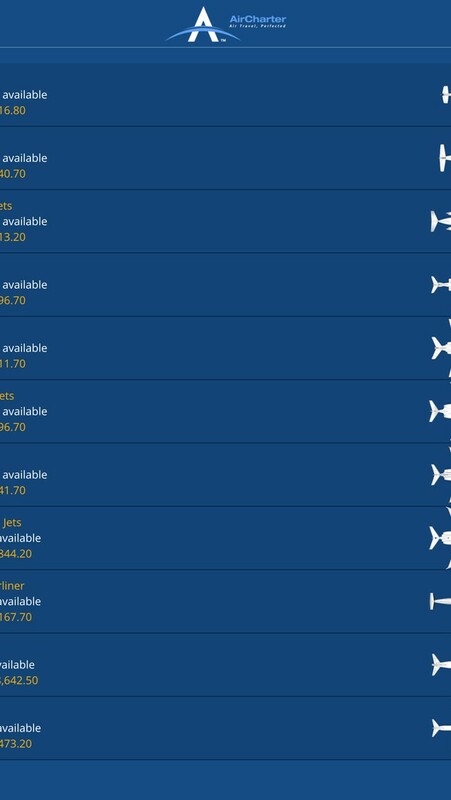 Our booking engine will display the best possible aircraft choices with all relevant information provided. With over 20,000 airports available worldwide and aircraft available within 30 minutes of anywhere in the world, Aircharter gives you the freedom to find the best aircraft operator for your trip. 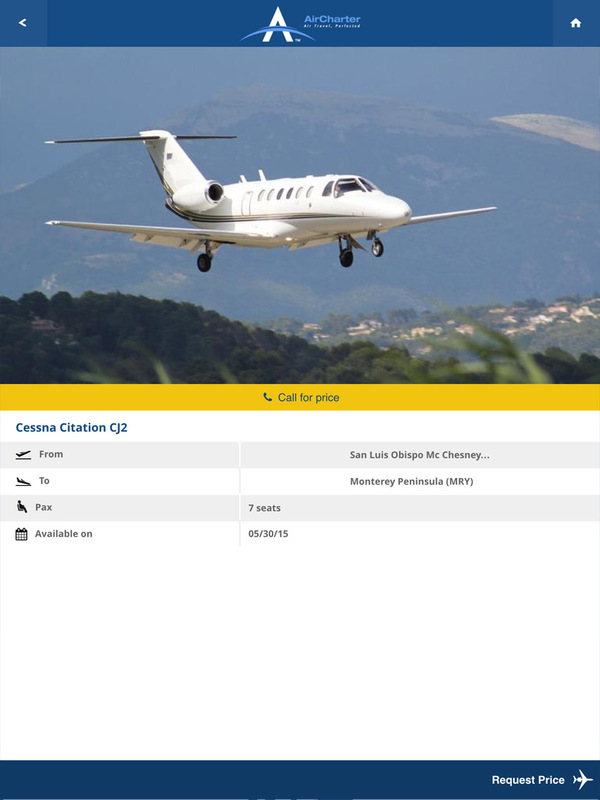 Aircharter Credits allow you to display full aircraft information including Tail number & Operator name and contact information as well as aircraft specifications, safety rating, and up-to-date interior and exterior aircraft photos. 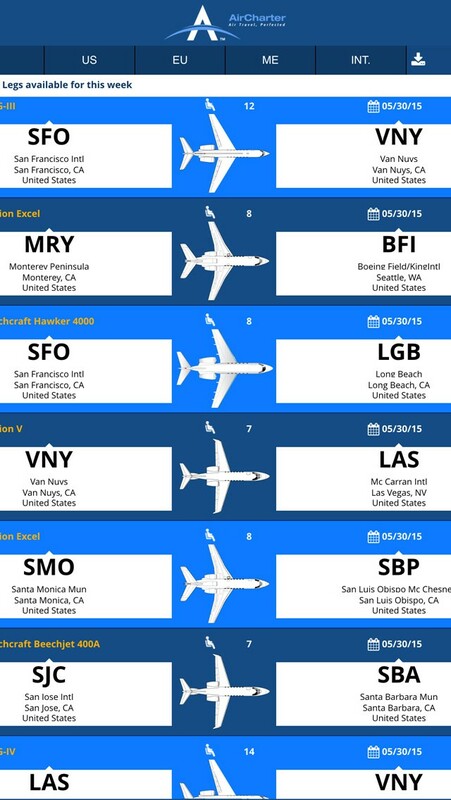 One credit is used per aircraft information display. 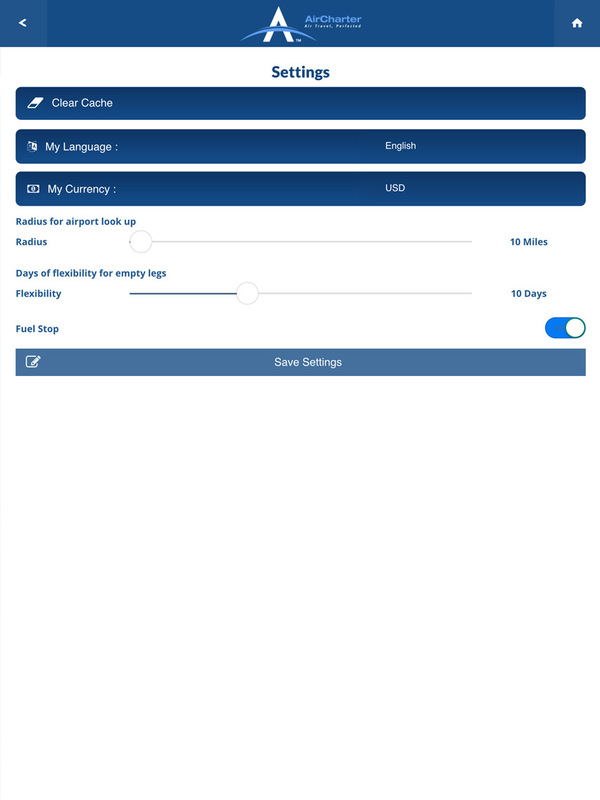 Aircharter Credits will unlock a tail indefinitely for your viewing, once an aircraft has been unlocked once by you, the aircraft information such as tail number and operator contact information will always be accessible in the future. 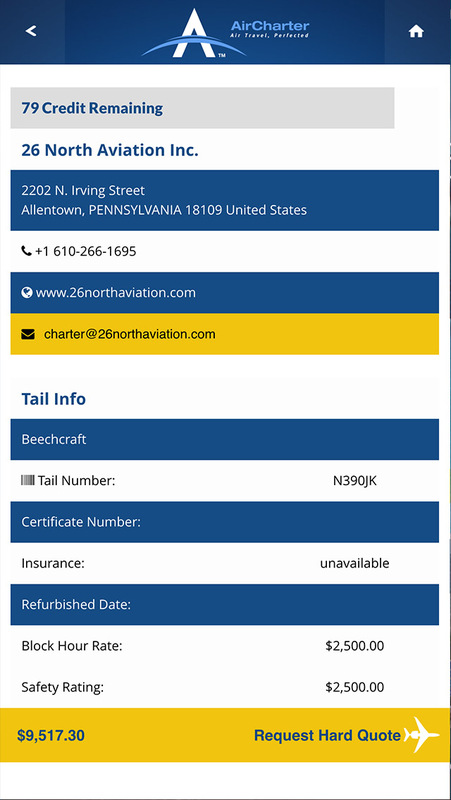 Aircharter.com’s new booking engine includes full tail data lookups including but not limited to: tail number, updated aircraft photos, and safety information, as well as the aircraft owner or operator’s direct contact information. 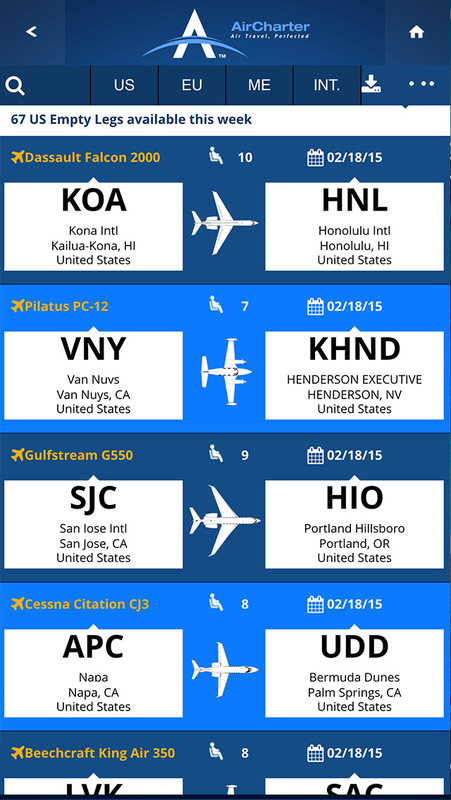 This allows our customers the freedom of flying directly with their preferred aircraft owner or operator. Once unlocking a specified aircraft, our customers will be able to view the selected aircraft tail and operator information forever. 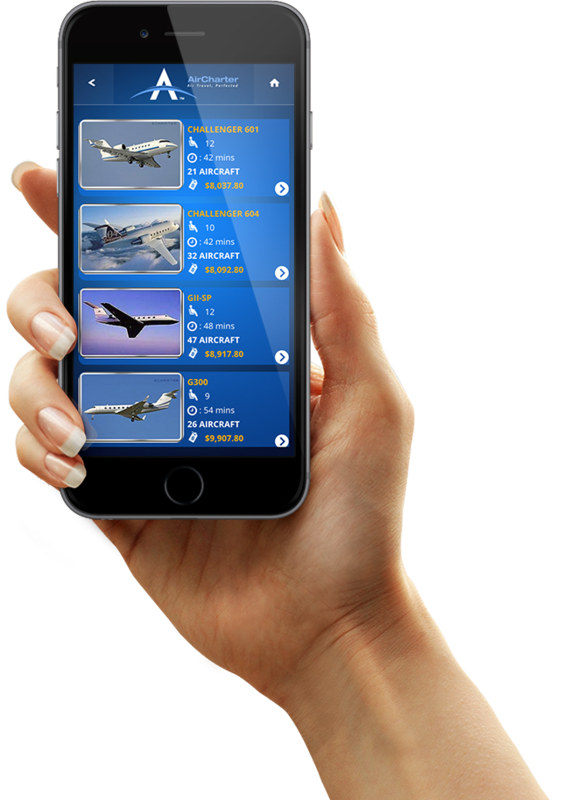 Customers now have the tools for conducting their own aircraft research; choosing the aircraft they are most comfortable with, and contacting the aircraft operator directly for a seamless experience. 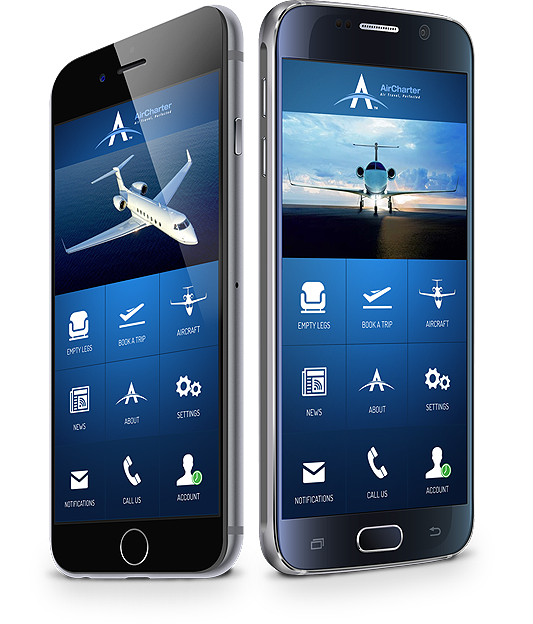 *An instant email and sms verification will unlock 10 free Aircharter Credits towards your account. new: Improvements in overall speed and performance. fix: landscape on iPhone 8 Plus. fix: Fixed Empty Leg search. fix: Minor bug fixes in landscape mode were buttons were below the screen. new: We’re always trying to improve your experience. 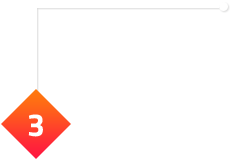 new: Added Support for iPhone X.
fix: Resolved the issue of the calendar locking up in empty legs. fix: Redirect problem when no empty legs are found after search which would break the date in the instant quote. 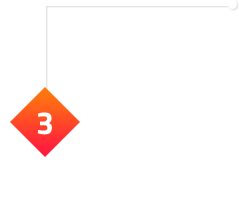 new: Complete new layouts for the iPhone 6, 7 & 8 Plus Landscape mode. new: Implemented CAPTCHA security to validate that a human is requesting the data and not a robot this was put in place to stop competitors from stealing our data. new: Optimized for the iPAd Pro with complete new layouts . 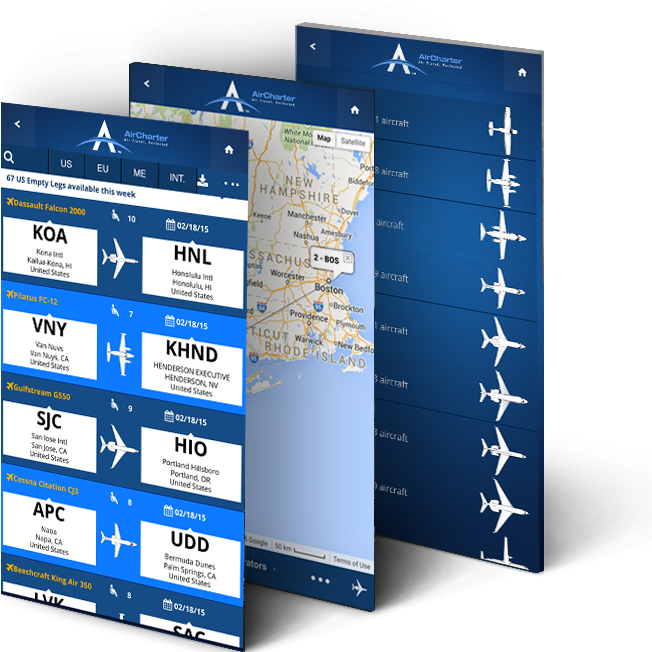 new: Added in-App purchase for AirCharter Tail Credits. new: Optimized image for the retina display of the new iPad Pro. add: Caches support for quick response. 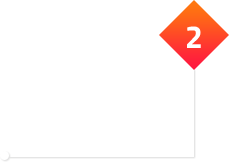 new: Added account credit check from account. new: Added My Trips to account. 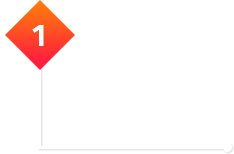 new: Integrated Recent Post and the AirCharter Blog. 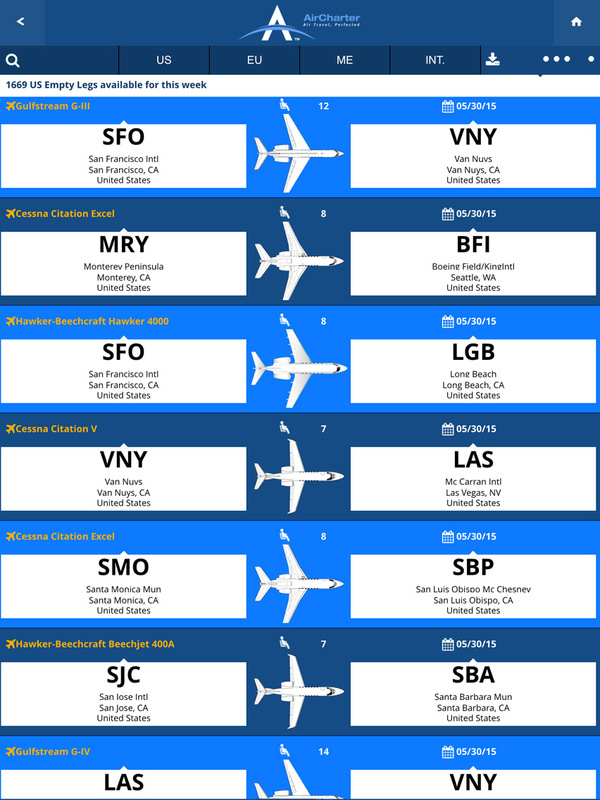 new: Added Save my favorite AirPort. 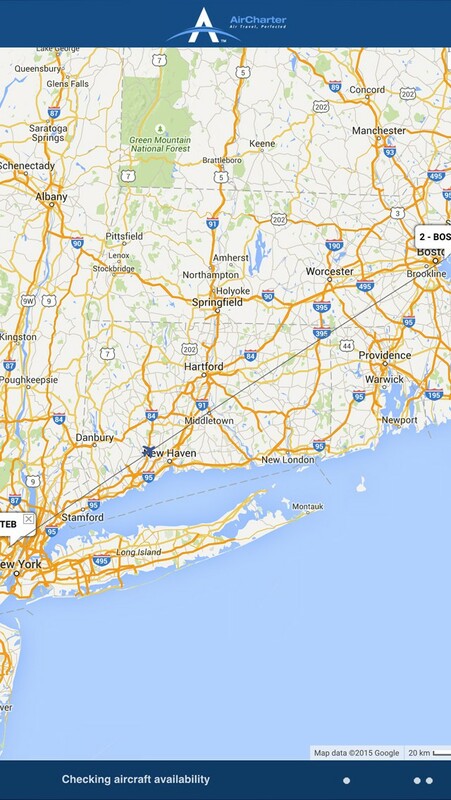 new: Added search by radius AirPort to the empty legs section. fix: Bug in empty legs not submitting. 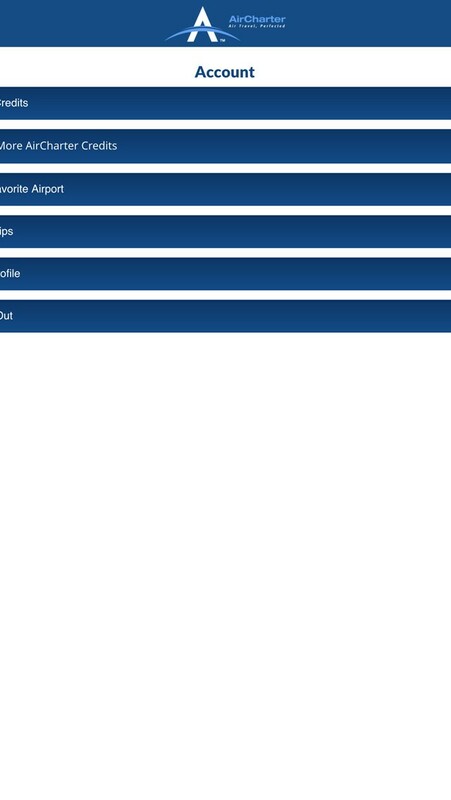 fix: Favorite Airport not saving. 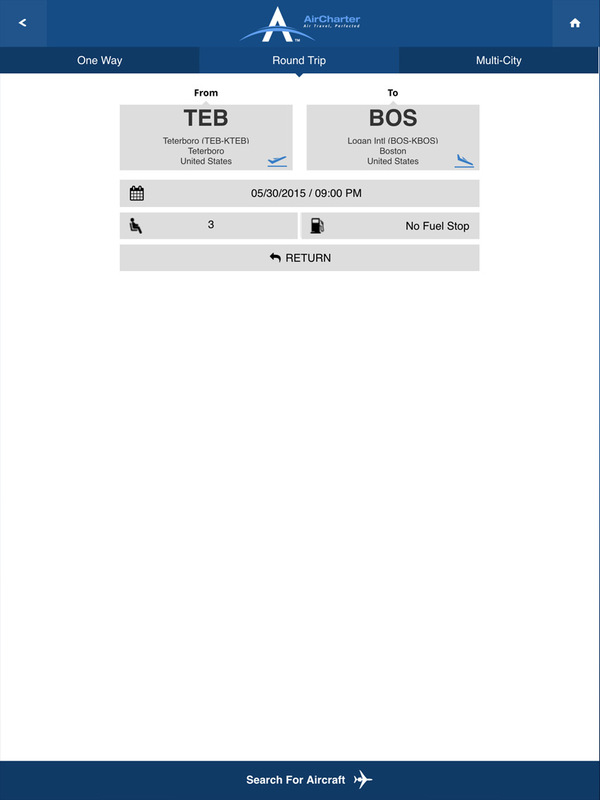 new: Integrated empty legs in the booking engine. 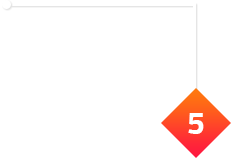 new: Redesigned the user interface. 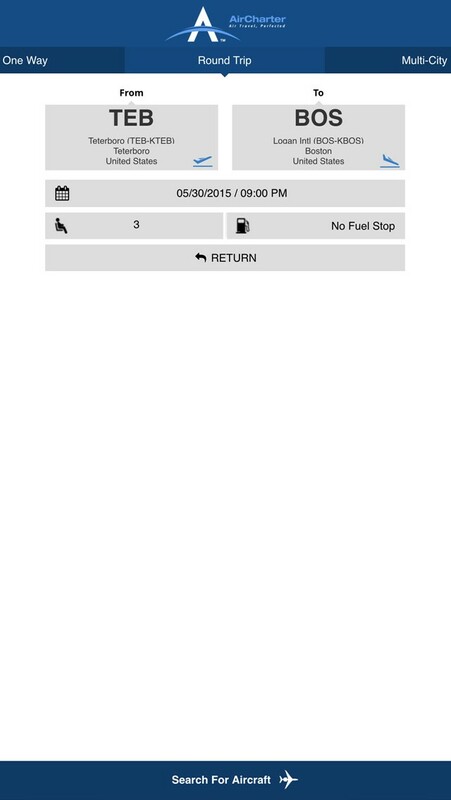 Initial release of the the new iOS APP on the APP Store. 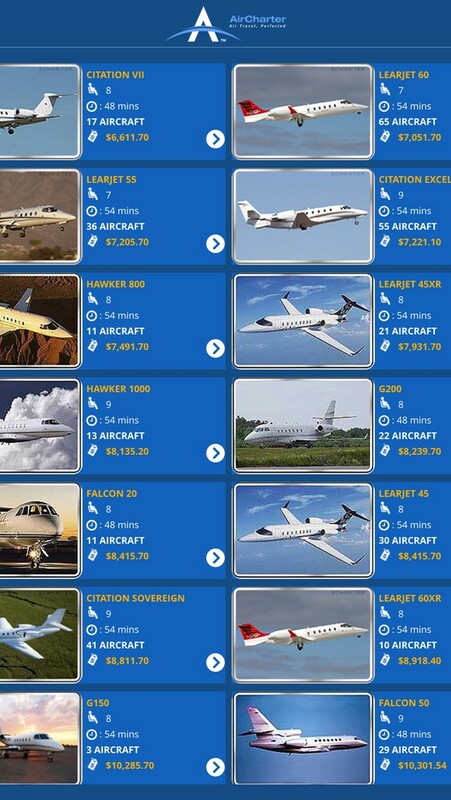 Useful to only thos who need private jets so if you fall into this category then go get it. 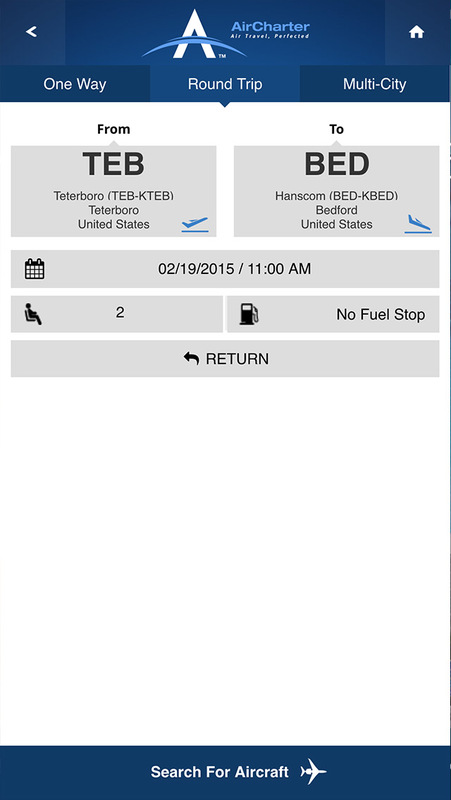 this app will save your time and money in jet booking. App does what it needs to do. 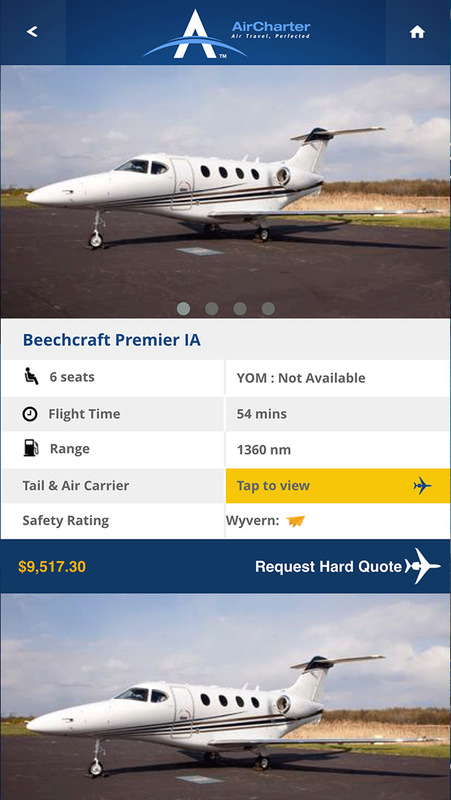 My boss booked a jet easily with this app and was very happy with my suggestion. 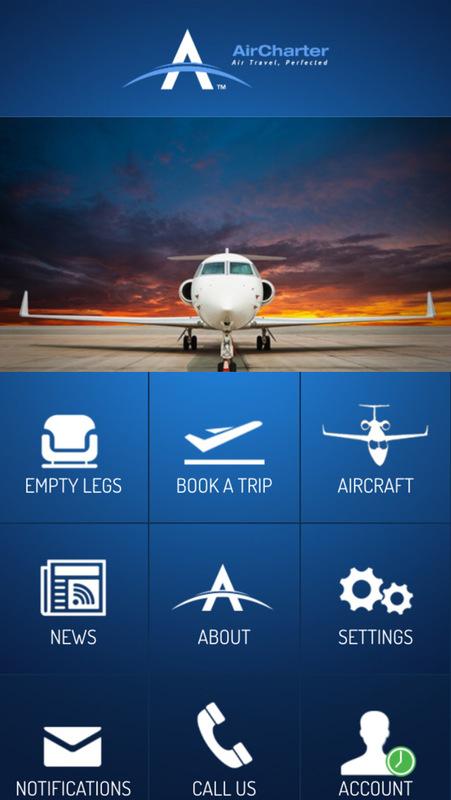 App does not try to sell anything and limit itself to jet reservation. 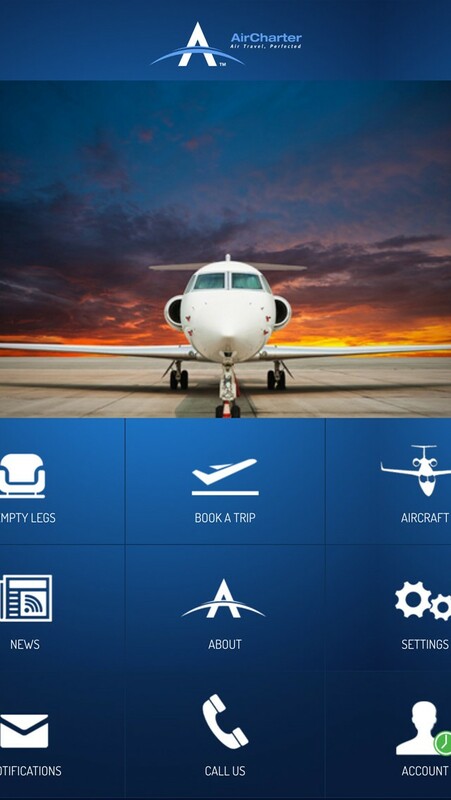 This APP was It is by far the best Private Jet Booking APP. I booked and saved!!!!. I Saved thousands of $$$! This is a very useful and professional APP. Its has more features than an similar APP that requires an $8000 membership plus offers more. Nice work! 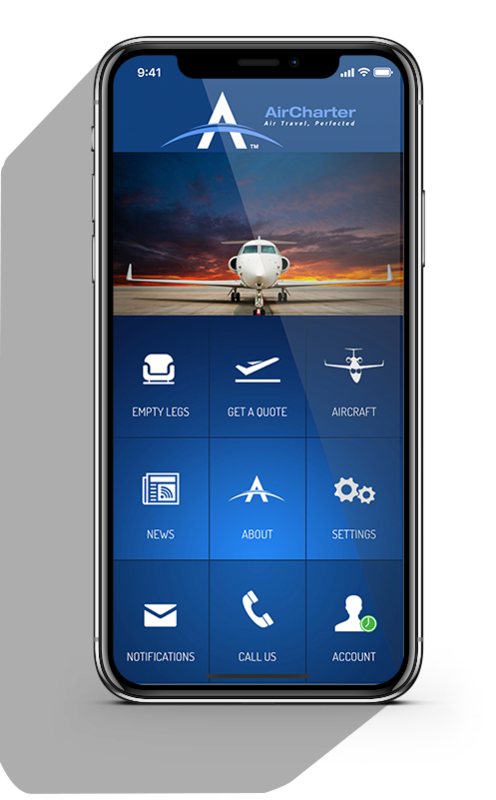 This is the best Windows Mobile Private Jet Charter APP. I have to be honest I did not believe in the beginning that it would give me the Operator and Tail number. Now, this is an APP worth using for every trip. 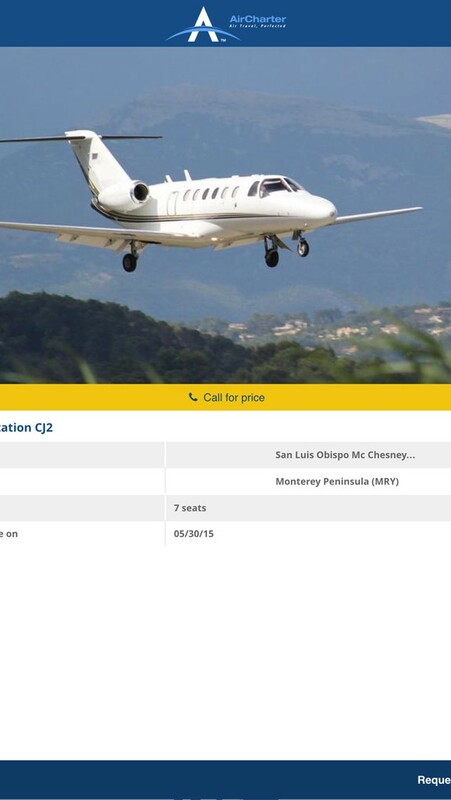 This is the best private jet booking application. I was ready to pay for a full round trip. When I only needed a one way. 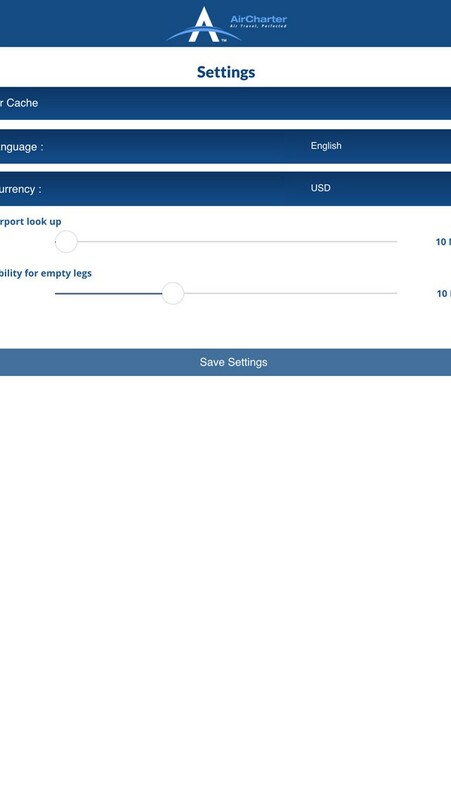 The app got me a great price for an empty leg. 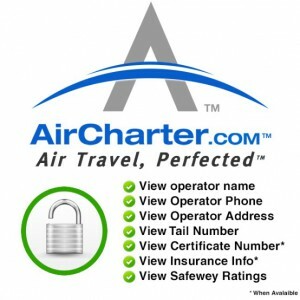 Please fill the form below or simply click the chat icon to get in touch with the AirCharter.com LLC team.